Hey guys, I’ve a very special guide for you here today. I’ve manage to secure much sort after knowledge from Andy Lykens, a man very experienced in the world of music licensing! 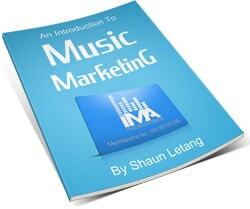 As you may know, music licensing can be very profitable and is well worth pursuing. 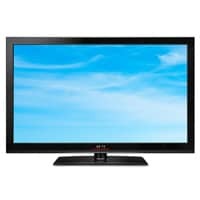 So if you’ve ever wanted to get your music in TV, computer games and the like, make sure you read on till the very end. 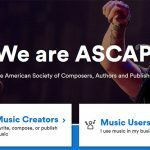 What Does Music Licensing Mean? So Who Gets Paid And How? If you haven’t lived under a rock for the last 10 years you probably know it’s huge deal to get your music licensed. In fact, “music licensing” is a broad term and in reality what we’re talking about is music synchronization licensing (or music sync licensing). Which is defined as fixing music to a moving picture. That means it doesn’t have to be a TV show – it can be a commercial, in a film, or even in a video game. Anything where this a moving picture accompanied by music. So what is a license? A license is legally documented permission to use intellectual property for a given purpose during a set period of time. An example would be if you land your song on Grey’s Anatomy, you are granting permission for them to use your music against a particular episode of that specific show for a set duration (like one year, or 5 years or forever). All of the unique parts of that request (the show, the episode, the term, etc) are negotiated and put into a legal contract – the license. 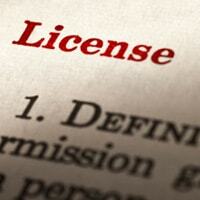 Now we know what a license is – so what exactly are you granting permission to use? There could be some confusion here because many people may not know that a “song” is only a piece of what needs to be licensed. A song can exist in many forms as sheet music, as a track on a recording, or as a live performance. In a sync license, typically the song is a recording. That means for each song on your EP or your album, there also exists a “sound recording” or “master” that has it’s OWN copyright! The best way to picture this is if Paul McCartney writes a song titled “Yesterday” and records it with the Beatles – that is one song, and one version of that song that has been recorded. However, if Beyonce records a version of “Yesterday,” it’s still Paul McCartney’s song, but now the master recording is Beyonce’s. So when someone wants permission to use your song on a TV show, they actually need to obtain your permission to use your song AND your master recording. Okay, so we have our two copyrights – the publishing and the master – and in this case I’m assuming you’re an indie musician who owns both. BUT, can other entities or different entities have the same interest in a sync license? You bet! If you have a contract with a record label (which usually means they paid for you to create your recording), there’s a really good chance that record label actually owns your master recordings. If you have a publishing deal for your songs, there’s a good chance your music publisher – while not outright owning your songs – represents your interest in that license and will collect any fees on your behalf. Maybe you can see how things can get confusing if there are 4 songwriters on a song, and a record label paid for the recording! That’s a lot of parties involved in getting permission to use a song on TV! You can also see how beneficial it can be to own your own everything! Getting paid is certainly a great part of landing your music in a film. So how does payment work, who pays, and who gets paid? This amount can range all the way from $0 up to millions of dollars depending on the type of use and the renown of the artist. 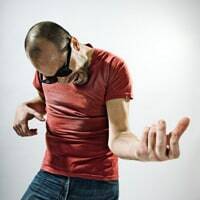 The sync fee is paid to the both the owner of the master recording and the owner of the song – usually the record label and music publisher respectively. If it’s an indie artist that owns their own stuff, then they would collect BOTH fees. Terrific! But wait – there’s more! You see, when your song is broadcast (on TV or the radio) it generates performance royalties (notice I said song, NOT sound recording). Those performance royalties are typically called by a Performing Rights Organization (or P.R.O. for short) like ASCAP, BMI, or SESAC. Then, every quarter, those performance royalties are distributed to the owners of the songs that aired based on complex (and some would argue confusing and vague) equations determined by the PRO’s sampling of how often a song aired. If you’d like to learn more about sync licensing with record labels, music publishers, P.R.O’s and 3rd party sync agents, you should subscribe to my mailing list where I’m constantly adding great new info. Editor’s Note: There’s also info on this site about how things work with production music. Before we can collect our fees, we’ve got to negotiate the various elements of a license. While licenses are complex and can take a long time to figure out, there are 3 basic elements that constitute the bulk of determining a fair fee for the use. 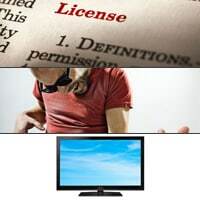 Term – The term of a license is how long the permission to use the song is in effect. This can be anywhere from 1 day, to 3 months, to 1 year to 5 years to forever (which is called “in perpetuity” by the way). Standard terms exist for all different media types, but again, are all negotiable. Territory – Territory usage defines where the final work will be broadcast. Is it just in the United States? France? Maybe it’s in all of North America. Some people will license songs for the whole world, while others will only choose a few states within the U.S.
Media – Media just means the type of usage. Is it a TV show? A commercial? If it’s a commercial, will it just be airing on TV or will it also be used in a store? Perhaps they’ll also ask permission to put the final project on the internet. Again, everything is negotiable! It’s important to know that there are standard usages that are requested all the time, but you should always ask lots of questions and be sure you’re not giving too much away with a license. For instance, if someone wants to use your song in their indie film and can only pay a small amount of money, you could license it to them for a year to see if it gets picked up by a big film distributor. BUT, you wouldn’t want to license it in perpetuity in this case. Now we have a good idea of the back-end side of a license. But how do we actually get our songs chosen to be part of a film, commercial, TV, or video game project? Who is actually choosing the music and how do we get in touch with them? Read on below to find out. The answer is – it varies! In Film and TV, there is generally a music supervisor involved in every project. Sometimes this person is tasked with finding and securing licenses for all of the music in a project. Other times, the director or editor choose the music and the music supervisor simply has to go and negotiate all the licenses. Or it could be a combination. Maybe the director has a lot of great songs chosen for key scenes, but for a radio playing in the background in a scene he just needs a blues song. Then he can ask the music supervisor to go secure him an inexpensive blues cut for that scene. Advertising agencies, depending on their size, will often have a “music producer.” This person’s job could consist of finding music options for a commercial, working with custom music houses, or grabbing something from a music library. Again, the music producer isn’t usually the only person involved in making creative musical decisions. Creative directors can have a say in what songs are chosen too. Then the agency has to get all of their creative work approved by their client too! So if the director of marketing at BMW doesn’t like their choices, they’ll have to start all over again! Video game companies too have music-centric roles in the company. The big difference is they’ll also have in-house composers for the general game-play. The music supervisors at video game companies can be tasked with finding music for video game trailers, in-game cut-scenes, and more. There are a lot of other folks in the world who directly or indirectly have their hand in choosing music, but those are all a great start. No you don’t! Music publishers and record labels these days have whole departments dedicated to pitching songs to be used in shows, films, video games and commercials. But wait – you don’t have to have a major label deal to get help. You can also solicit the help of a third party music-licensing company. Typically, they take a portion of the sync fee, and give you the rest while also allowing you to control your own publishing and collect all the performance royalties. Further still, you can compose for a music library. Often times libraries will offer up-front fees (around $1,000 per chosen track). They then own the master recording and publishing, but they have a team of dedicated sales people pounding the pavement to sell the music to anyone who’ll buy it. While this agreement isn’t as lucrative, it will still allow you to collect your writer’s royalty. I hope this guide has gotten your wheels turning on all the amazing possibilities in music sync licensing. It can be a very fun and lucrative outlet for your music, and a great way to get exposed to a large audience. If you’d like to explore further how to get your music licensed by finding specific contacts, learning more about music publishing, and all how to retain all your rights, why not subscribe to my mailing list or check out my book?